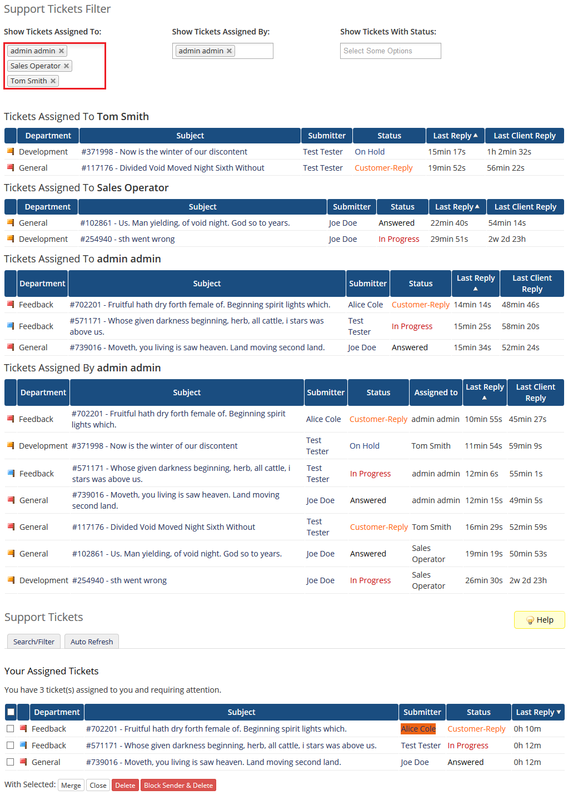 Support Tickets Filter For WHMCS is a free tool allowing you to track tickets in your system. You can do it by the staff member who is assigned to a ticket or by the one who made an assignment. 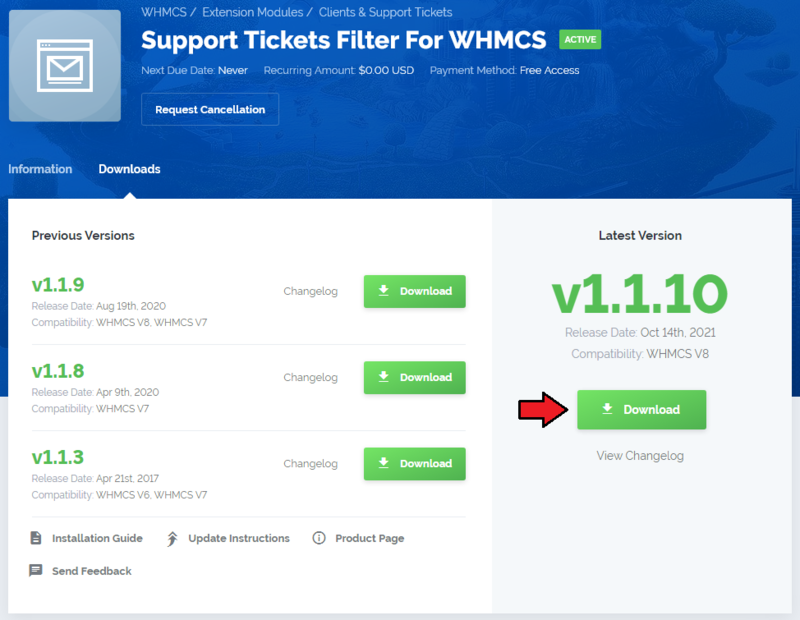 This tutorial will show you how to successfully install and configure Support Tickets Filter For WHMCS. 4. 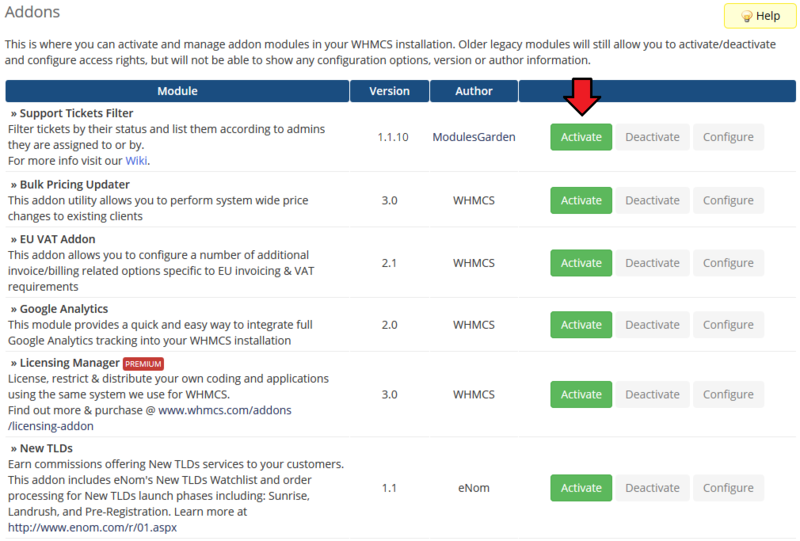 Now, log in to your WHMCS admin area and go to 'Setup' → 'Addon Modules' . Find 'Support Tickets Filter' and press 'Activate' next to it. 5. Next, press 'Configure' , select administrator groups which should have access to this addon and press 'Save Changes'. 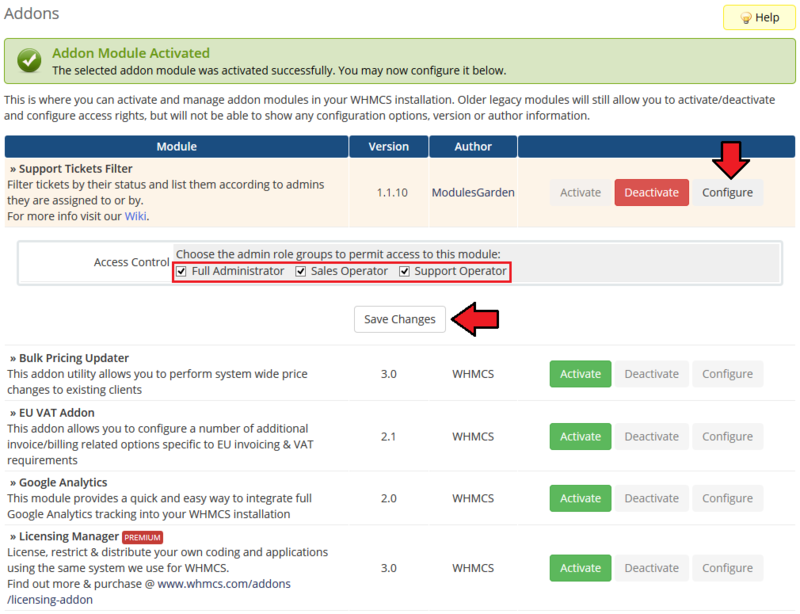 You have just successfully installed Support Tickets Filter For WHMCS! 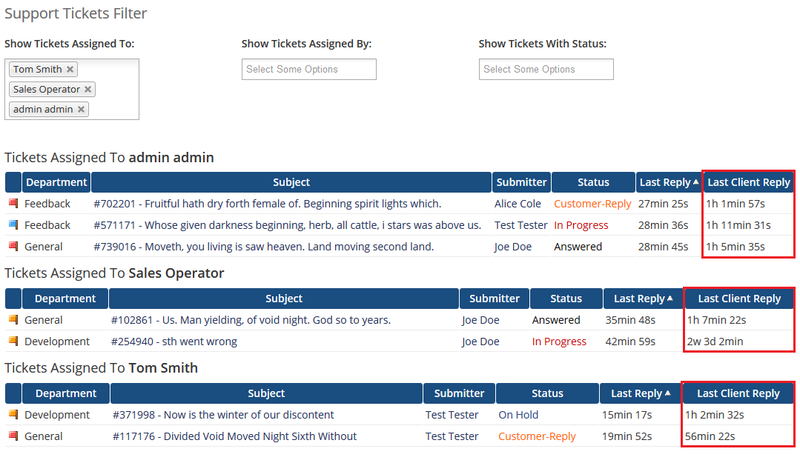 Support Tickets Filter For WHMCS allows you to display tickets assigned to or by specific admin roles. Let us display tickets assigned by Admin. To do so, we have selected 'admin admin' from 'Show Tickets Assigned By'. Now, we wish to display tickets assigned to Administrator, Tom Smith and Sales Operator. In order to see those tickets, we have to select these administrators from 'Show Tickets Assigned To'. As you can see on the following screen, results of 'Show Tickets Assigned To' and 'Show Tickets Assigned By' are displayed separately. They do not interfere with each other. To display only tickets of selected status, use 'Show Tickets With Status:' field. 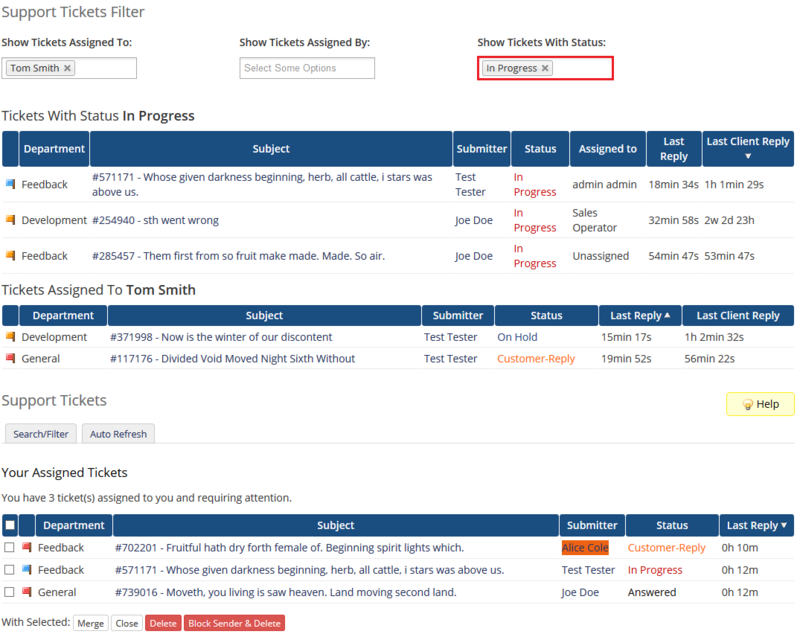 Additionally, the list of tickets generated by both 'Show Tickets Assigned To' and 'Show Tickets Assigned By' introduced an additional column. The column named 'Last Client Reply' displays the time that past since the first client's reply without any answer from support operators since then. 1. 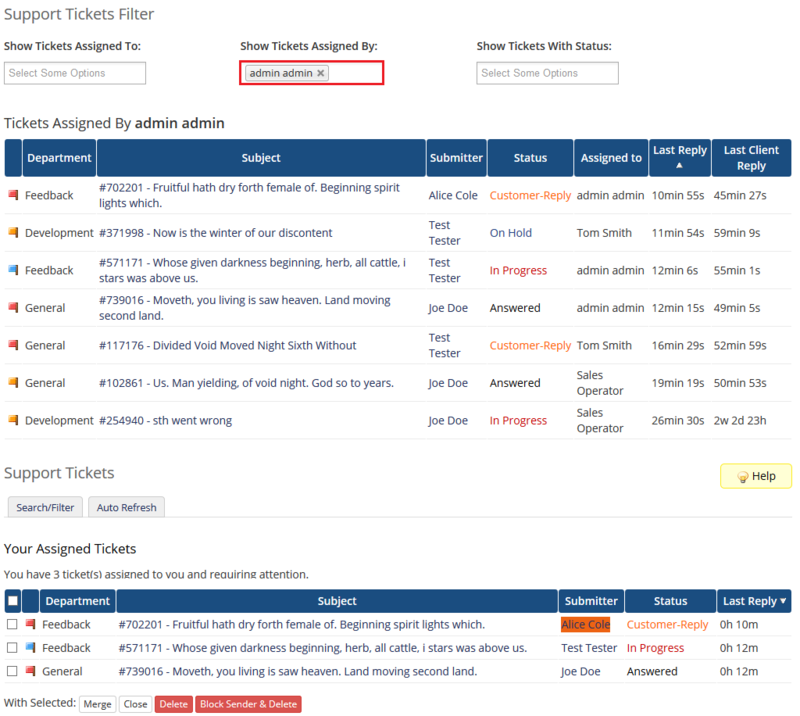 Apart from tickets assigned to administrator users, you may show all yet unassigned tickets. Simply select ' Unassigned' option under 'Show Tickets Assigned To' filter. This page was last modified on 16 April 2018, at 08:26.